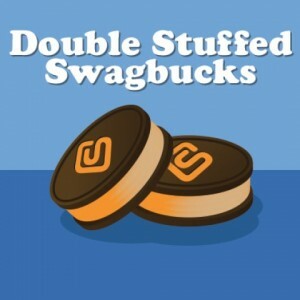 Double Stuffed Swagbucks are back today only (10/10)! Earn 2X the rewards on daily polls, free games, viewing special offers (NOSO’s), and more. This is a great way to earn even more by doing simple tasks. If you aren’t already earning Swagbucks, it’s super easy and in the end all the points you earn can be redeemed for gift cards!! Most folks if you started now could earn at least $40 in Amazon gift cards by Christmas!! If you are new and want to get started use code SOUTHERNSWAG to get 70 points when you register. See more ways to earn Swagbucks.